Romanian team finished to 3D print the chess pieces designed with the Italian and Portuguese partners in the 3D POwER #eTwinning project. I participated, as member of the organizing committee, in the 10th edition of the Electronic Contest Electronicus which has been held at Clubul Copiilor Novaci between 12th and 14th May, 2017. The workshop "Strategic Partnership for Education", coordinated by Ms. Aurelia Florea—Human Resources Director at Miele Tehnica—took place at Faculty of Electronics, Telecommunications and Information Technology Iasi on April 26, 2017. The event was organized during the 26th edition of the TIE contest, with the aim of developing strategic partnerships between companies in the electronics industry and academia. 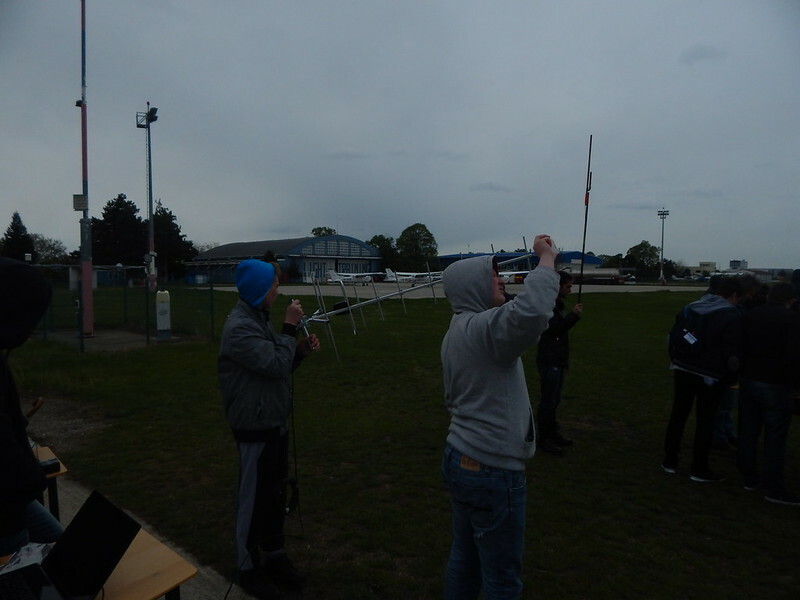 The 2017 Romanian CanSat competition has been held at Ploiesti on April 19 – 23, 2017. Would you like to teach in USA? Do you want to teach in U.S. schools? You can do it for a period of three to five years through J-1 Visa Exchange Visitor Program. Only State Department designated sponsors are authorized to select potential exchange teachers. Educational Partners International, LLC (EPI) is an authorized sponsor. Read more about Would you like to teach in USA? The Karel - Autonomous Robot for Enhancing Learning project was selected as one of the European Commission’s success stories. The project is promoted on the Erasmus+ programme website. It was happening in the fall of 2004, being in middle school, when I first met professor Mihai Agape, the man who transmitted the passion for electronics. Being recruited from the early stages of middle school I saw myself at the Electronics circle at Clubul Copiilor Orsova, titled as at that time, where I would be spending my time the next 4 years. ConSat team (CONexiuni + SATellite) qualified for Romanian national phase of CanSat 2017 competition. The team is composed of four students: Țenovici Cristiana Alexandra, Firoi Florin, Savu Claudiu Iosif, and Vasilcan Robert Andrei.